We can supply special CV (double-cardan) drive shaft assemblies made to your length specification. Most CV double-cardan joints can handle more than twice the normal 8 degree operating angle of a single Joint end. 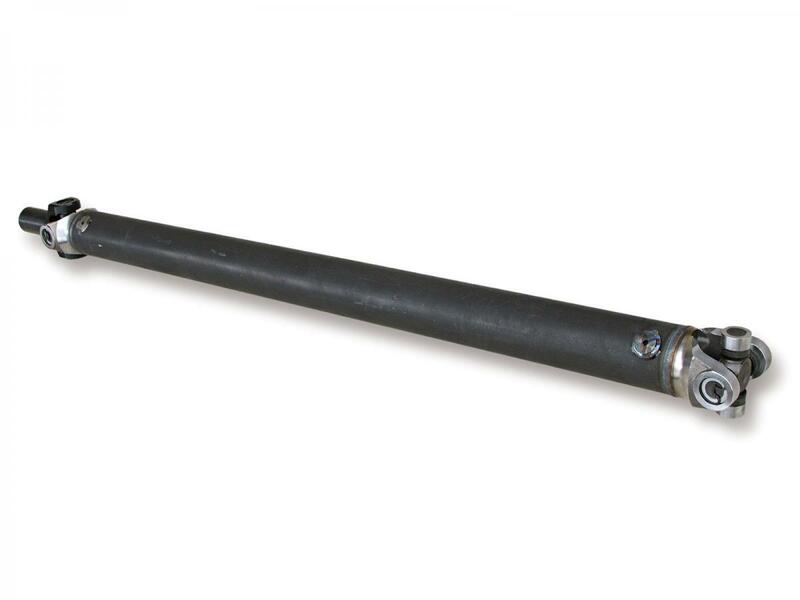 Our driveshaft are made with the highest quality parts including OEM, Spicer and Neapco. Each is made with DOM tubing for a stronger lasting driveshaft. All shaft assemblies are custom made to your lengths and are balanced. 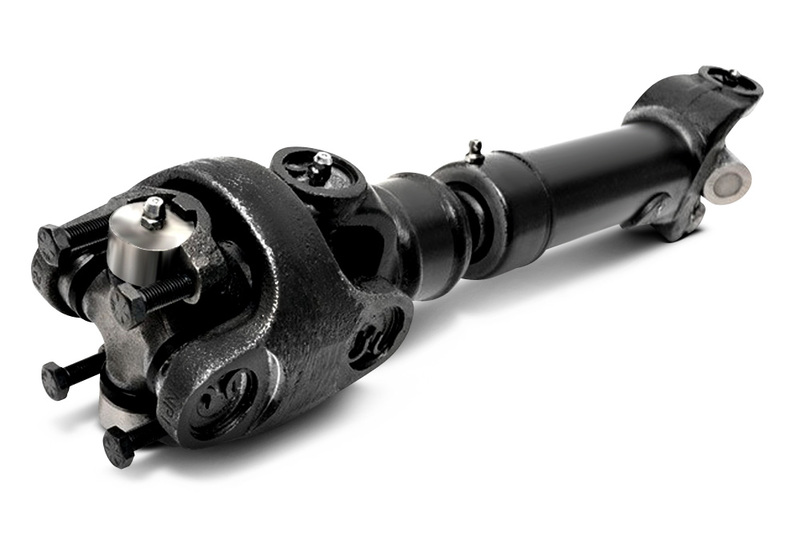 Complete your package with a high performance, high quality drive shaft. We will recommend the shaft and yoke to fit your driving needs. Measure with the old drive shaft or slip yoke pushed as deep into transmission or transfercase toward the front of the car. Turn differential yoke 90 degrees and cross bores for u-joint horizontal and parallel to the ground. We take this measurement and subtract .750" for most cars, or 1.50" for most trucks to allow the proper amount of slip travel in the drive shaft for suspension travel.